The PT100 is the world’s only truly portable handheld non-contact tonometer; its totally cordless design is lightweight and easy to use in any position. The PT100 has a long-life rechargeable battery, so it can be used on all patients wherever you need it. The Reichert PT100 puts fast, easy, and accurate non-contact tonometry in the palm of your hand. 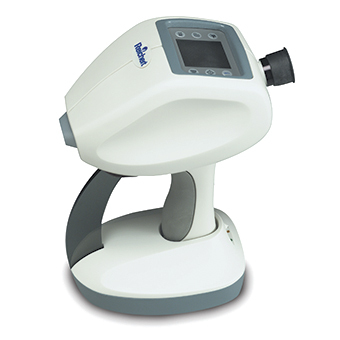 Optimum versatility in a handheld, LED illuminated slit lamp. The classic design and standard in rapid and accurate handheld IOP measurements, for 30 years.